Experience the hottest combo in fitness! Indoor Cycling + Full Body Strength Training (think pilates on steroids!). 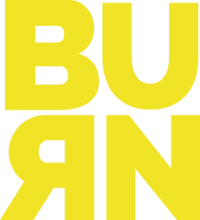 A fitness experience unlike any other, House of BURN offers both Indoor Cycling classes in an intimate state-of-the-art stadium style style setting (think dance party, hill climbs, sprints, arm weights and GREAT music) as well as a low-impact, high-intensity full body workout focusing on lengthening, strengthening and toning (no bulk!). Meet the workout that has taken Hollywood by storm. Whether you crave our 45-minute heart-pumping full body workout a.k.a “The MegaBURN”, or a challenging 45-minute Indoor CycleBURN cardio blast filled with hills, sprints, seat taps and hand weights - we've got you covered! However, it is our signature (and extremely popular!) 50-minute ultimateBURN combo class (MegaBURN + Cycle) that will leave you addicted and counting the days 'til your next BURN. Whether you’re a fitness addict looking for a new challenge, or a fitness newbie looking to revamp your lifestyle, we offer something for every fitness craving and ability level. Get Ready to #BURNbabyBURN with the hottest combo in fitness! THE HOTTEST 50 MINUTE COMBO IN FITNESS! We respect your privacy and will only send you important information regarding the studio schedule, events and special offers.